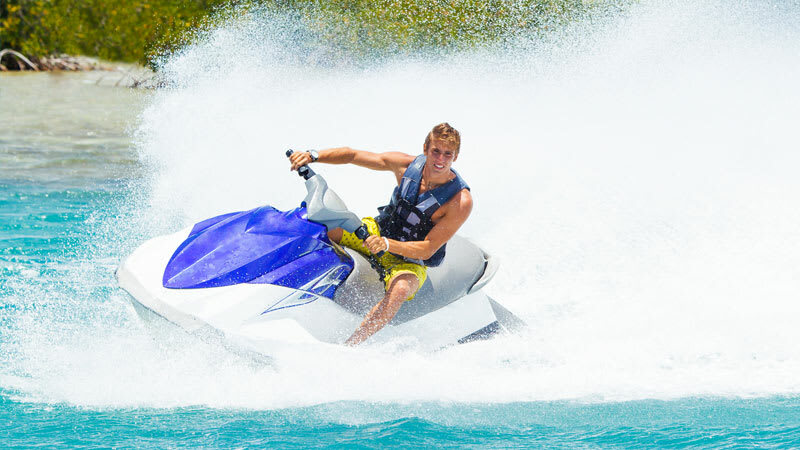 This Key West jet ski tour puts you in control of a brand new wave runner! Following a guide, you’ll navigate through 28 miles of turquoise waters with multiple stops. 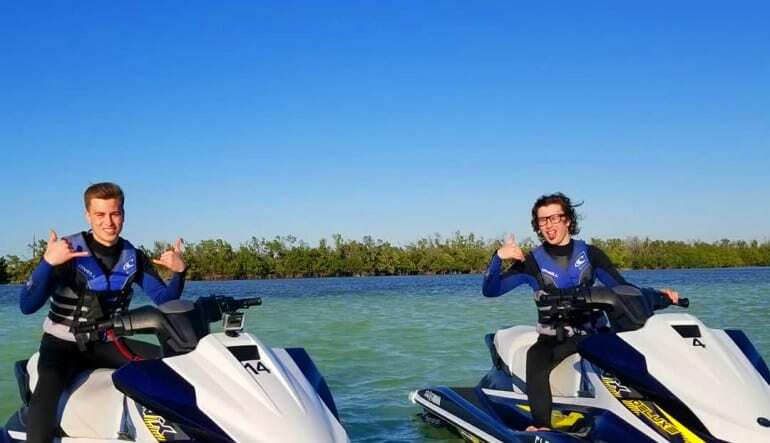 This Key West jet ski tour puts you in control of a brand new wave runner! Following a guide, you’ll navigate through 28 miles of turquoise waters with multiple stops. The splash-happy tour offers the perfect combination of speed and serenity: embrace the thrill of gliding over the Atlantic then take a breather to appreciate the stunning marine life (keep your eyes peeled for dolphins)! 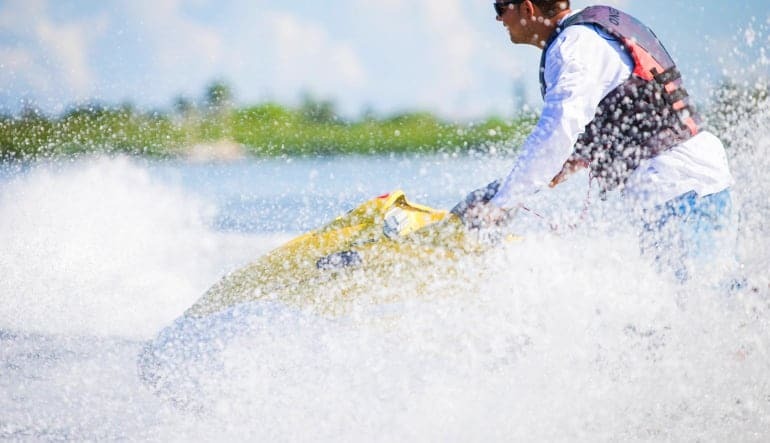 Take a 90-minute Key West jet ski tour, the longest jet ski tour available! Explore historic Key West Harbor. Travel to the Southernmost Point and spot the famous buoy. Greet the colorful marine life: sea turtles, starfish, dolphins! 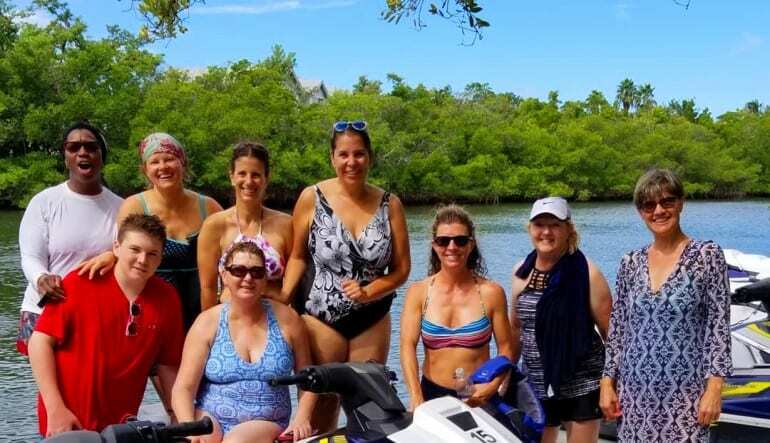 Hop into the water for a post-jet ski swim! 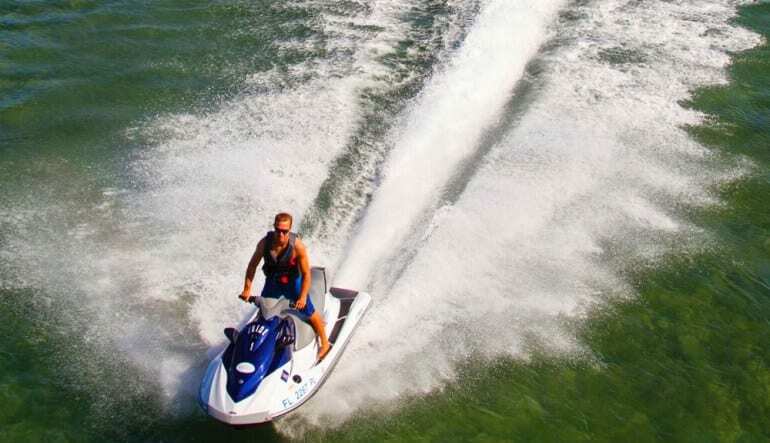 To ensure the best possible jet ski experience, these wave runners are replaced yearly. No matter when you book, you’re guaranteed only the newest models! Oh, and don’t forget to bring a friend along—your passenger rides at no additional cost!